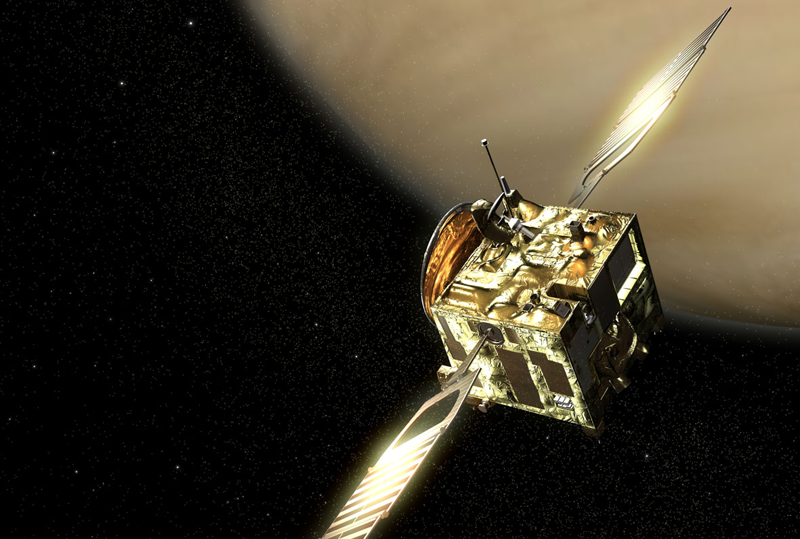 Using data gathered by a measuring instrument on the Venus Express spacecraft developed with CNES support, an international team of researchers1 has found evidence of sulphur dioxide in the upper atmosphere of Venus. 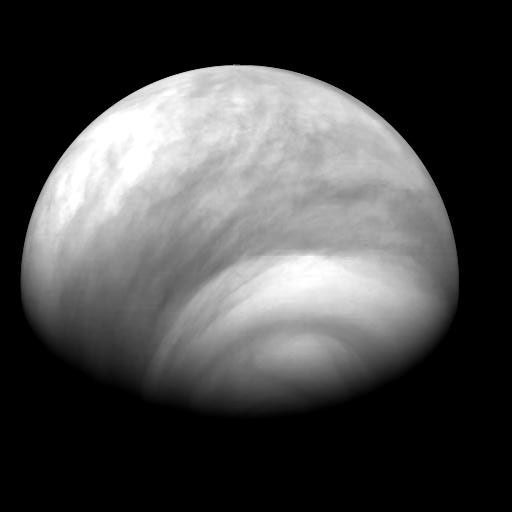 Atmosphere of the southern hemisphere of Venus imaged by Venus Express on 4 August 2007. Credits: ESA/ MPS/DLR/IDA. Sulphur dioxide (SO2)—the reason for the thick layer of sulphuric acid clouds blanketing Venus—has been detected in the planet’s upper atmosphere, at an altitude of 90 to 110 km. How? By the Venus Express spacecraft, and more especially by the SPICAV spectrometer developed with CNES support. 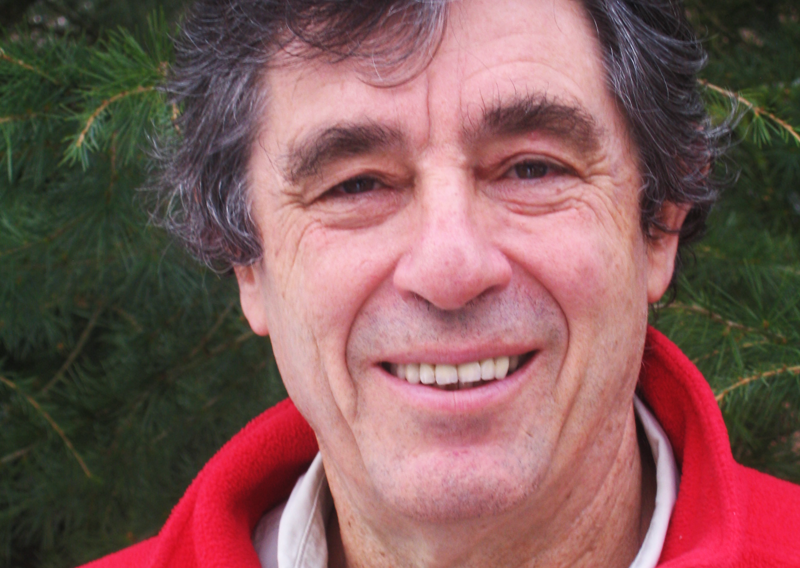 Jean-Loup Bertaux, SPICAV Principal Investigator at LATMOS. Credits: LATMOS. Scientists believe that the SO2 in Venus’ upper atmosphere is coming from sulphuric acid mist. At altitudes of 90 km and higher, temperatures are high enough for sulphuric acid to evaporate and be broken down into SO2 by solar radiation. 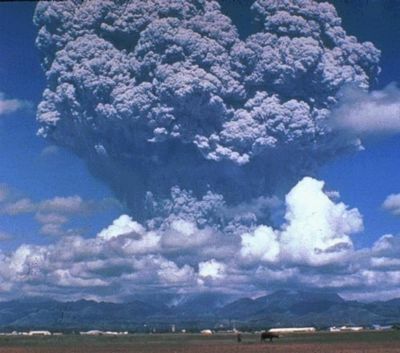 Mount Pinatubo erupts in the Philippines in 1991. Credits: CNRS. While it’s true that Venus is a long way off, in fact the same type of phenomenon occurs here on Earth,” enthuses Jean-Loup Bertaux. Erupting volcanoes spew SO2 into the atmosphere, to altitudes of around 20 km, where it forms droplets of sulphuric acid. These droplets reflect a large proportion of solar radiation back into space, cooling Earth like a parasol. For example, when Mount Pinatubo erupted in the Philippines, Earth’s surface temperature dropped by 0.5°C. Venus Express has been in orbit around Venus since 2006. Credits: ESA/ Ill. AOES Medialab. This has led Paul Crutzen, the Nobel Prize for Chemistry, to put forward the idea of injecting large quantities of SO2 into the atmosphere artificially to cool Earth’s surface and counteract the increasing greenhouse effect. “It’s an interesting solution, but we need to look at it carefully from every conceivable angle,” says Jean-Loup Bertaux. “We can’t predict what will happen from modelling alone. We also need to experiment, and with Venus we have a great testing ground, since there are very large quantities of sulphuric acid droplets in its atmosphere. That’s why studying Venus is also very relevant to Earth,” concludes Bertaux. 1 From the California Institute of Technology, the University of Michigan, Academia Sinica and the National Central University of Taiwan, and LATMOS (CNRS/UMPC/UVSQ). 2 Laboratoire ATmospheres, Milieux, Observations Spatiales.